Upon reviewing the research on the treatments and the causes of alcoholic myopathy, there is an obvious relationship between malnutrition and alcoholic myopathy yet little can be found regarding specific nutritional recommendations in the treatment of chronic alcoholic myopathy for those interested in addressing this important factor. Since protein deficiency has been directly linked to myopathy, it is a good place to start. A nutritionist or health coach may be able to guide you in evaluating your protein intake to ensure you are getting the proper support of that key macronutrient involved in muscle health. While protein deficiency might have been a contributing factor to the myopathy, adequate protein intake is certainly necessary in the recovery from muscle atrophy. Amino acids are the building blocks of protein, which is synthesized to build muscle. 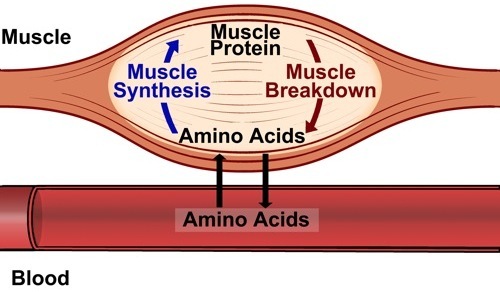 Some suggest that supplementing with amino acids may help accelerate the repair of muscle damage in myopathy. Alcohol use disrupts the production of growth hormone, which also plays a major role in muscle development. Research suggests that decreased levels of growth hormone may also contribute to the myopathy of skeletal muscles, as with alcoholic myopathy. 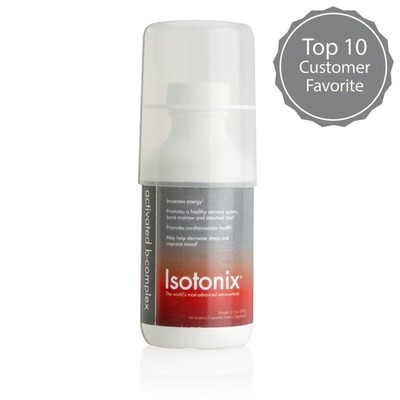 Certain amino acids stimulate the pituitary gland to produce and release growth hormone. Prime™ Ultra Secretagogue is an excellent amino acids supplement recommended by many doctors to naturally and safely stimulate the body’s natural production of human growth hormone. It helps build protein to build lean muscle, in addition to offering a multitude of other health benefits. Be sure to scroll down when you check out the Prime™ Ultra Secretagogue page to learn more about the research, ingredients and benefits. There is evidence that suggests free radical damage in the pathogenesis of alcoholic myopathy. Free radicals are unpaired electrons, aka reactive oxygen species, which cause a chain reaction of damage of cells as they attempt to steal their missing electron from any nearby source. Antioxidants are able to replenish the unpaired electrons thus ending the cycle of damage. However, without sufficient antioxidants to combat the abundance of free radicals, the damaging process continues - and can affect any area of the body, including muscle tissue. Free radicals are caused by many factors including environmental toxins, alcohol, smoking, and physical and emotional stress to name a few. Active and recovering alcoholics arguably have even more oxidative stress (free radicals) than the average person, and thus would benefit from antioxidant supplementation regardless of the potential benefit in the treatment of myopathy. Specific antioxidants called OPCs are awesome free radical fighters that also are known to help maintain normal muscle and nerve function – OPCs are potentially beneficial not only for myopathies but neuropathies as well; and some research suggests peripheral neuropathy may co-occur with alcoholic myopathy in 72% of cases!). We also know that alcohol promotes inflammation in the body. Regardless of the type of myopathy, an effective antioxidant can address any inflammatory issues likely present in the recovering alcoholic (and definitely present in the active alcoholic!). Certain OPCs can act as a natural anti-inflammatory agent and are also known for a multitude of other health benefits. Read more about the amazing benefits and science behind a highly absorbable and powerful OPC supplement ideal for recovering alcoholics. Research suggests chronic hypocalcemia (deficiency in calcium) may contribute to the increase in muscle damage in alcoholic myopathy. Everyone knows calcium is important in bone health, but it is also crucial in muscle function. Calcium is the most abundant mineral in the body, crucial to many health functions. All muscle fibers use calcium. Alcohol impairs the absorption of calcium! Myth: “I drink milk, so I get plenty of calcium”. Fact: the calcium in most dairy products we consume is not bioavailable (we don’t absorb it!). You are better off skipping the pro-inflammatory dairy products, and increasing your green vegetables which have calcium that you will actually absorb. Smokers – studies have shown that smoking interferes with efficient calcium absorbtion. Soda drinking (regardless if caffeinated or not, diet or regular) depletes calcium. Coffee and caffeine deplete calcium. Also, those deficient in vitamin D are at risk for calcium deficiency as well because vitamin D is necessary for absorption of calcium… and many myopathy sufferers have been found to be deficient in vitamin D! There are a lot of poor calcium supplements on the shelves. Many contain the wrong form, wrong amounts, and/or not the correct additional ingredients necessary for calcium absorption (ie vitamin D3 and magnesium) in the proper amounts. Individuals with alcoholism in particular have done damage to their digestive systems, so it is imperative to take the most absorbable form of a high quality calcium supplement. 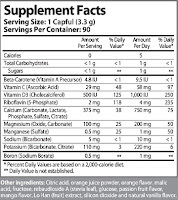 Get more information on the best calcium supplement we have found (see label). Research has concluded that low vitamin D levels are related to muscle fiber atrophy, and vitamin D deficiency itself may induce myopathy. Low vitamin D levels are frequent in alcoholics. Studies show that vitamin D stimulates growth of muscle fibers. Regardless of whether the vitamin D deficiency caused the myopathy, vitamin D is helpful in recovery from the muscle atrophy. Experts estimate that most of the population is deficient in vitamin D. If in doubt, ask your physician for a blood test to evaluate your 25-hydroxy vitamin D levels; levels should be above 50 ng/ml (125 nmol/L) year-round. Read more about the research, benefits, and FAQ on a high quality vitamin D supplement. In conclusion, hopefully more will be revealed in the future on this topic of nutritional supplementation in the treatment of alcoholic myopathy sufferers. In the meantime, as individuals seek to integrate a nutritional approach to treatment of alcoholic myopathy, a few important supplements to consider include: Prime™ Ultra Secretagogue, OPC-3, Calcium Complete, and Vitamin D.